Rock The Fiddle • New Year's Eve — Flavor Creative Catering Ltd.
New Year’s Eve at the Fiddle! 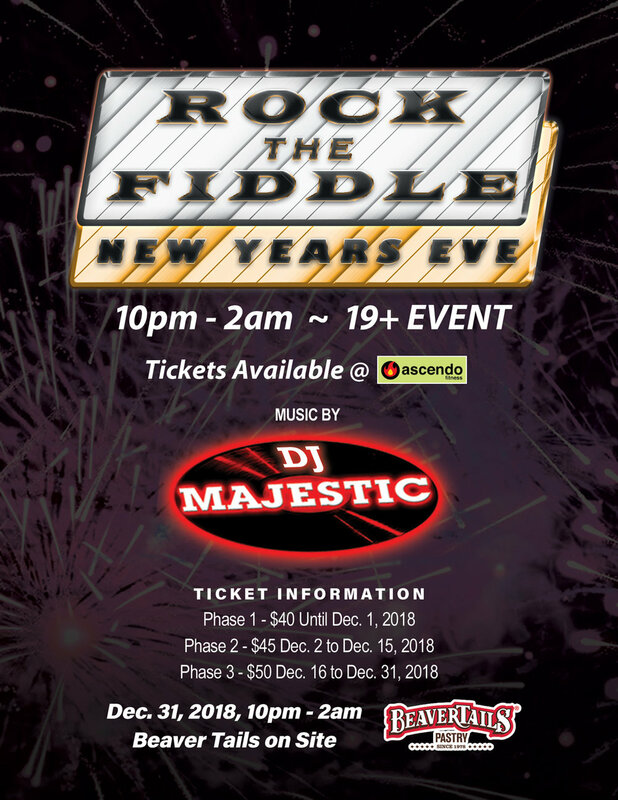 This year, DJ Majestic will be providing the music for the “Rock The Fiddle” Event held at the Joan Harris Cruise Pavilion, December 31st from 10pm until 2am! Come out and celebrate New Year’s Eve and ring in 2019 with some great tunes and a great time. You can pick up tickets at Ascendo Fitness and Beaver Tails will be on site. This event is for ages 19 and up. Phase 1 - $40 until December 1st.